I am an avid musician and music lover and I was recently fortunate enough to purchase a brand new bass, the Ibanez BTB675! My previous bass was a Yamaha RBX 375 that I purchased back in 1999 and it was solid instrument, but after almost 15 years it was time to move on and up. The 675 is a beautiful 5 stringed instrument with Maple/Bubinga neck-thru, the body (wings) consist of Ash with a rich walnut overlay on the front and an all natural finish. The dot inlay are Abalone and the pick ups are developed by Bartolini. As with all musical instruments the real proof is in how it feels and sounds when you play it, and over the last few weeks I have been absolutely delighted. The bass is relatively heavy compared to my previous basses but that really promotes a beautiful low end sound that manages to punch through even on the cheap practice amp I have in my office. 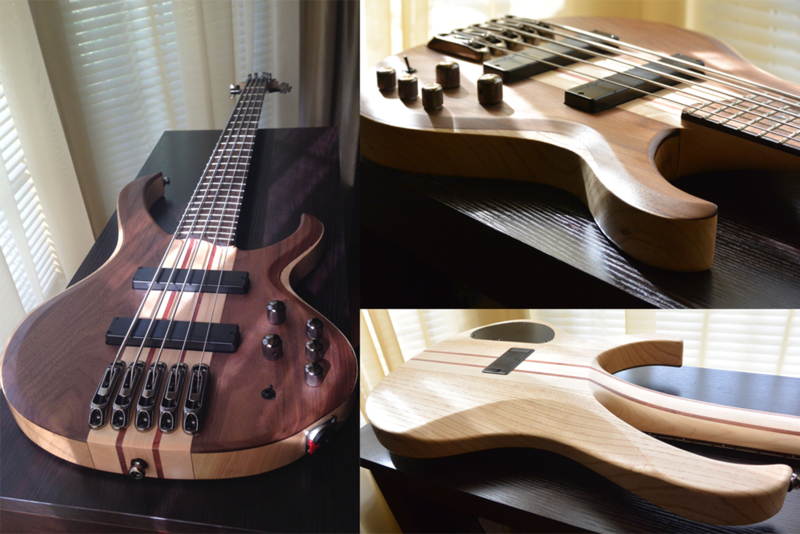 This is the first bass I have had without a bolt on neck (neck-thru) and I think I just prefer how this bass sits in my grasp and balances in my natural sitting position. In practice that has the effect of lowering my elbow and giving me a more comfortable overall posture. The Mono-Rail Bridge is also a first for me, in theory it allows each string to vibrate without interfering with the resonance of other strings, I find the bass feels smooth even with the low action I require, the strings have perfect clearance for free and uninterrupted string vibration. You also have Neutrik locking jack which is designed to prevent accidental disconnects, this particularly useful for me as I go from a sitting to standing position frequently when playing and disconnects are the bane of my live and recorded performances. I really like this bass, and I would like to think it will keep going for another 15 years!